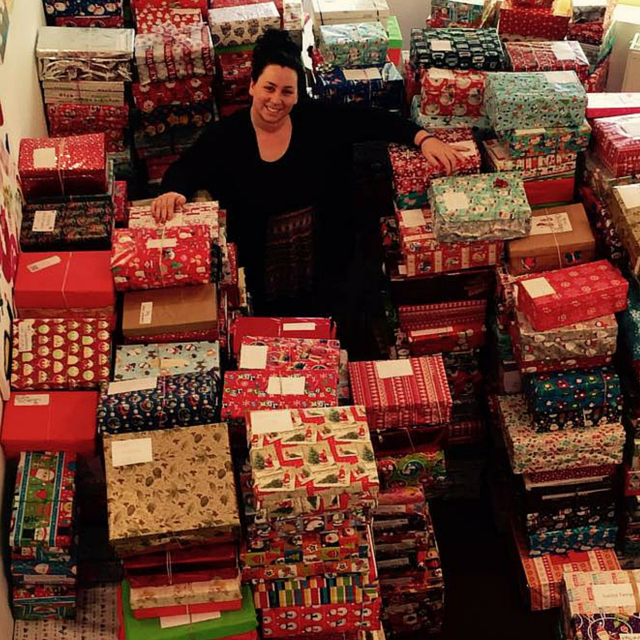 Each year we take more than 1000 Christmas shoebox gifts to Romania for the children and young people we work with. The thing that sets our shoebox appeal aside from any other is that each and every shoebox is made for a specific individual! We work with a really diverse and special group of children and young people therefore we believe that to make them an appropriate shoebox you need to know a little about them. If you think you could make a Christmas shoebox gift for a child or young adult please get in touch with Beth Johnson today to find out how to be involved. The other way you can be involved in our shoebox campaign is by coming to Romania to deliver the boxes! We take 16 volunteers each December for 6 days to hand deliver our shoeboxes. It is one of the best experiences and our favourite part of the year. You will visit patients from our Hospice Casa Albert project in their homes, run a Christmas party at our Hospice Day centre. Visit Casa Lumina where you will watch the annual Christmas show. You will also deliver shoeboxes in Poiana Negustorului, the village where Project Hope runs. As well as these things you will visit a local school to hand out shoeboxes and a state run institution for adults where you will deliver wash items and some food. It’s a busy 6 days but you will never experience Christmas Spirit like it anywhere else! To find out how you could become a Christmas shoebox volunteer please contact Beth Johnson today.